This past week despite lots of boat traffic fishing has been great. Stripers up to 30 inches are chasing bunker on the surface. 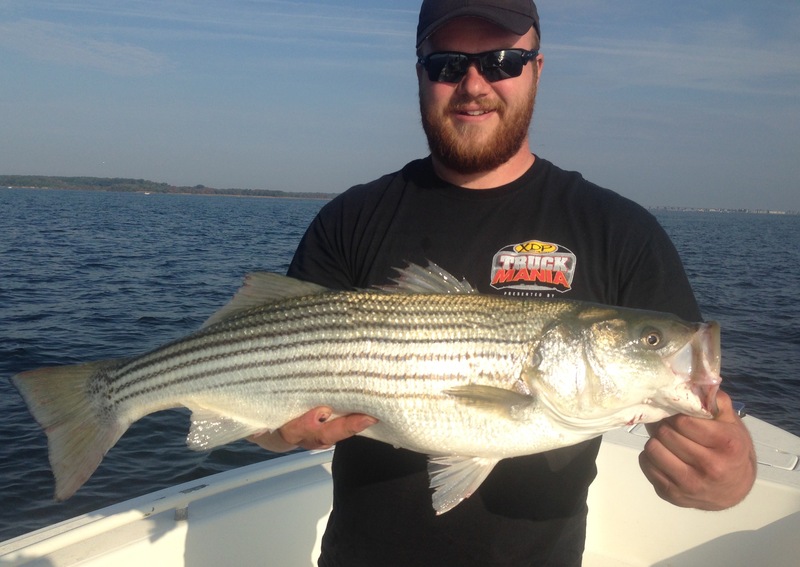 Catching them on poppers has slowed a bit but casting or jogging Bust em Baits has been catching rockfish steadily. Fly fishing with sinking lines continues to be real good to0. 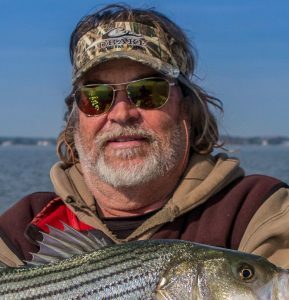 I am also proud to announce that I am on the pro staff for Bimini Bay Sunglasses by Salt Life and they are awesome. Fishing has been spectacular this past week. 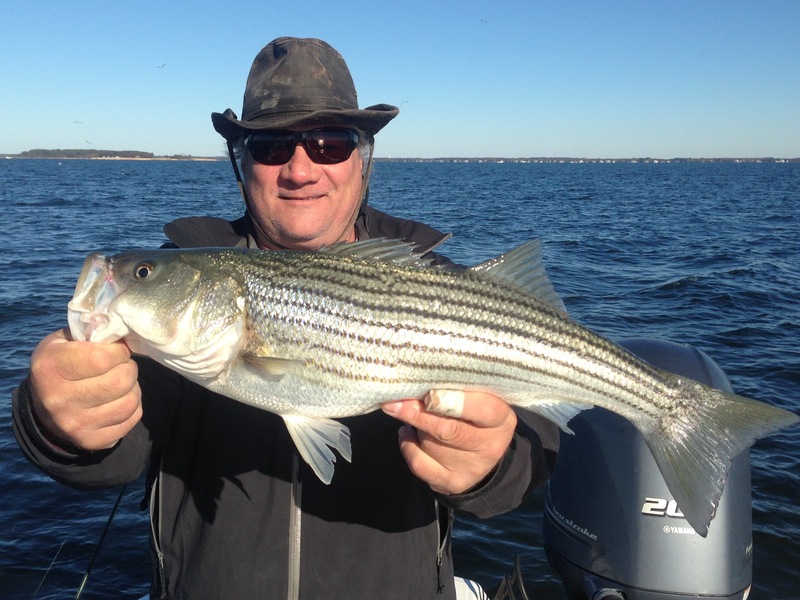 Striped bass over 30 inches have crushing topwater plugs in any depth water,some days all day. 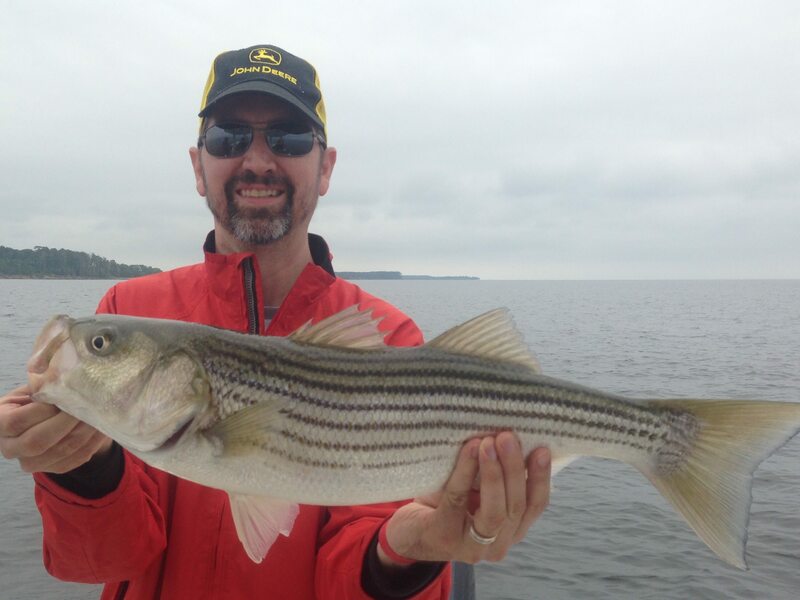 Jigging and casting plastic baits are good also. Fly fishing with big flies on sinking lines are going great also. Topwater fishing for stripers up to 30 inches has been fantastic. 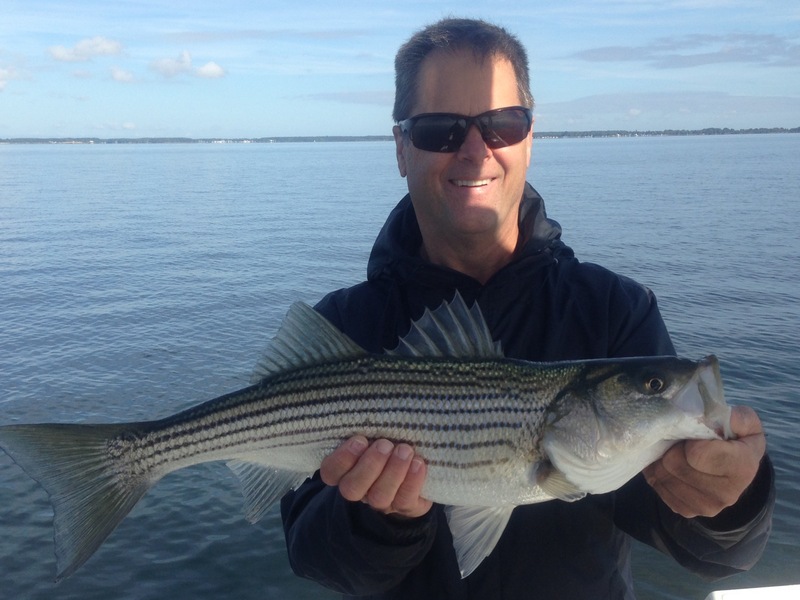 Rockfish have been crushing poppets in shallow and deep water. Soft plastic jerk baits and swim baits are working too. Fly fishing has been great also. 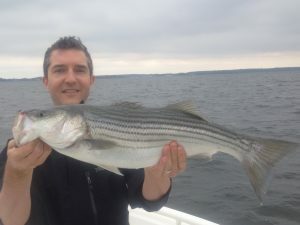 Before the storm fishing for stripers was great. Not only numbers but some bigger fish showing up. 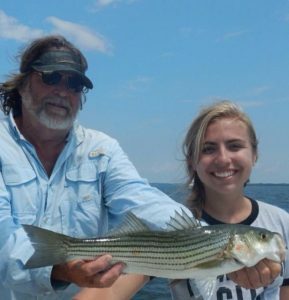 The bigger stripers are in small schools with the larger schools holding all sizes. 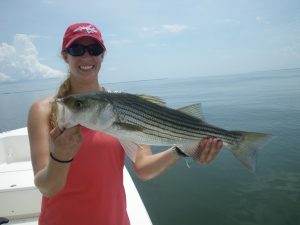 Topwater and swim baits have been producing and fly fishing with sinking lines has been excellent. The shallow water bite has also picked up with topwater plugs. Even with crazy weather patterns lately fishing has still been good. Stripers and a few blues are breaking on top. 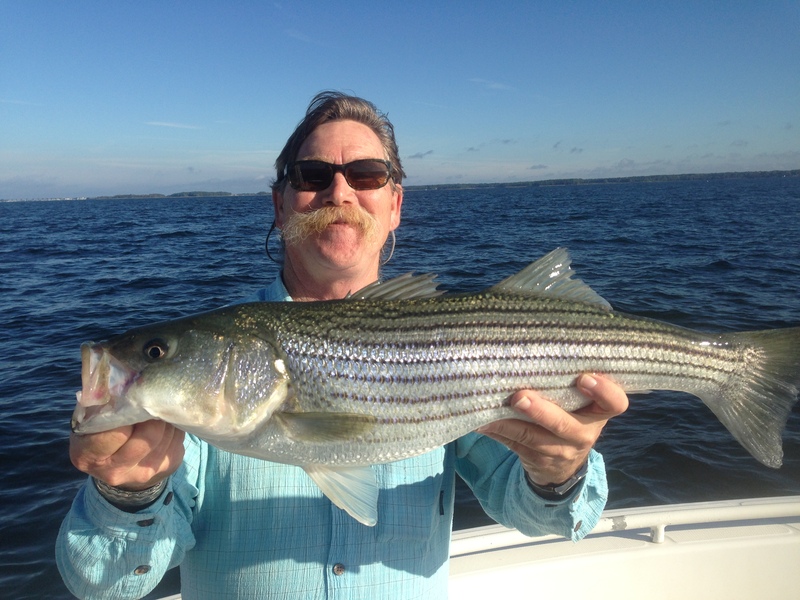 Fishing structure has been producing some nice stripers. With water temps dropping shallow water fishing is picking up also. This week we caught some sea trout which have been scarce for years. Fishing has still been great for the past two weeks. Stripers. 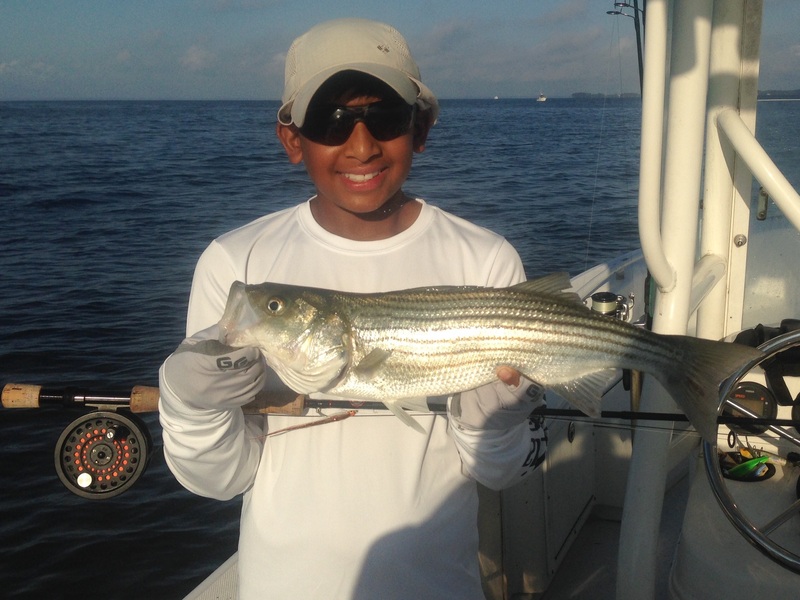 Bluefish and Spanish mackerel have been breaking on top in multiple locations. 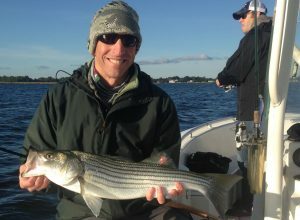 Fly fishing or spin fishing on the surface has been great. Casting or jigging L’l Bunker spoons has been catching good numbers of keeper size striped bass. These spoons have also accounted for most of the mackerel caught. 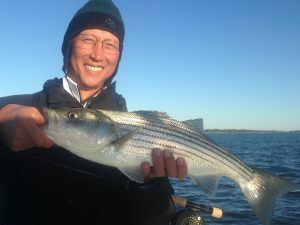 Fly fishing with sinking lines has also been doing well. 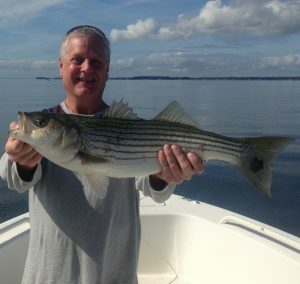 When the weather cooperated the fishing the past week has been good. 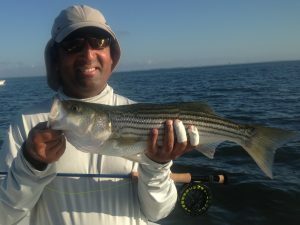 Casting topwater either on fly or spin tackle had been great for breaking stripers. Jigging for stripers has also been productive. 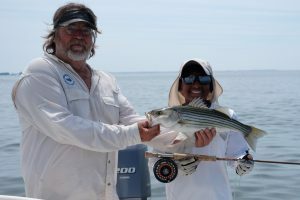 This weekend a group of us took out 24 wounded warriors fly fishing and had the best fishing we have ever had for this group. 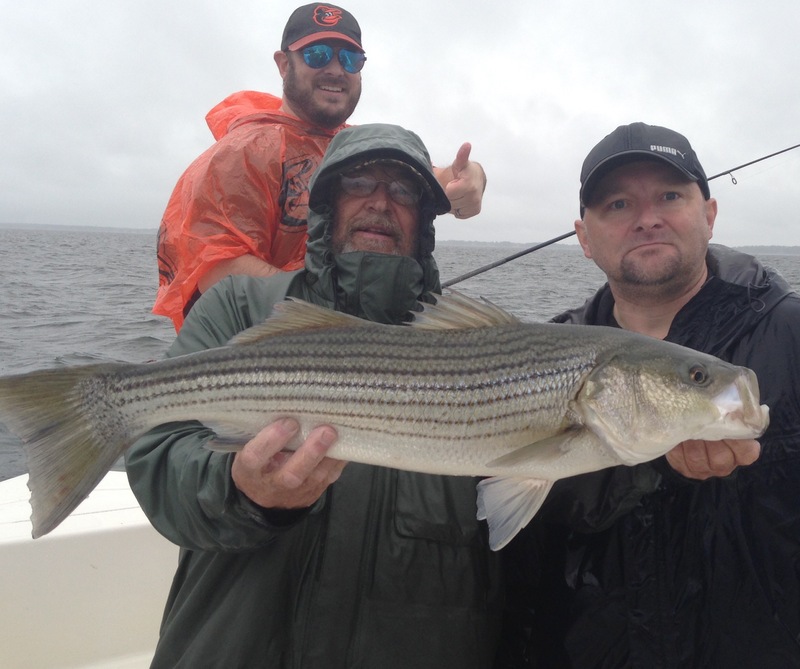 This was the 7th annual event done with Project Healing Waters. 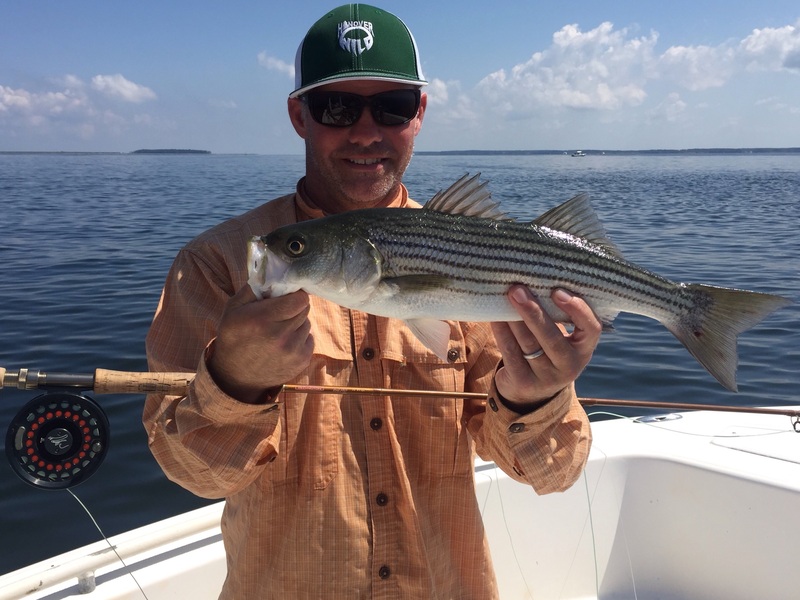 Breaking stripers and bluefish have still been great. 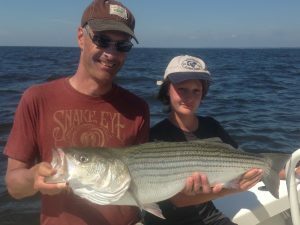 Good numbers of keeper size stripers are being caught. The size and number of blues depends on where we fish each day. 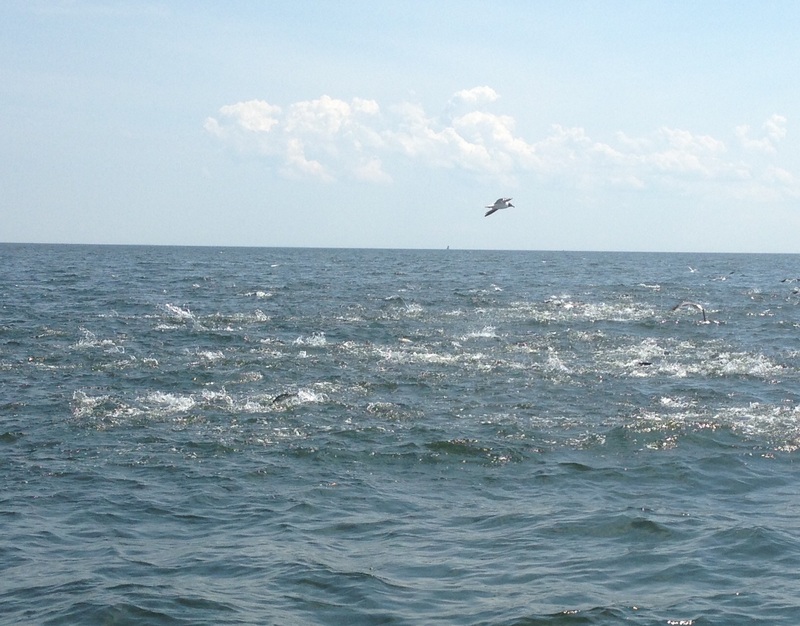 Seeing Spanish mackerel but haven’t caught one yet. 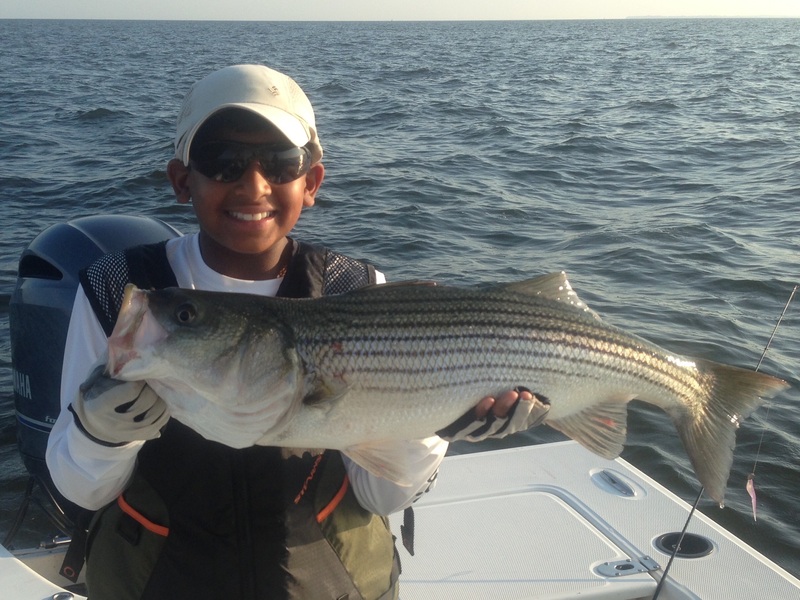 This is great time to fly fish and also to take kids fishing. 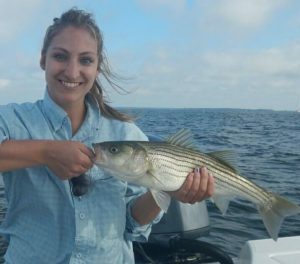 Stripers and bluefish have been breaking in a lot of different areas on the bay. 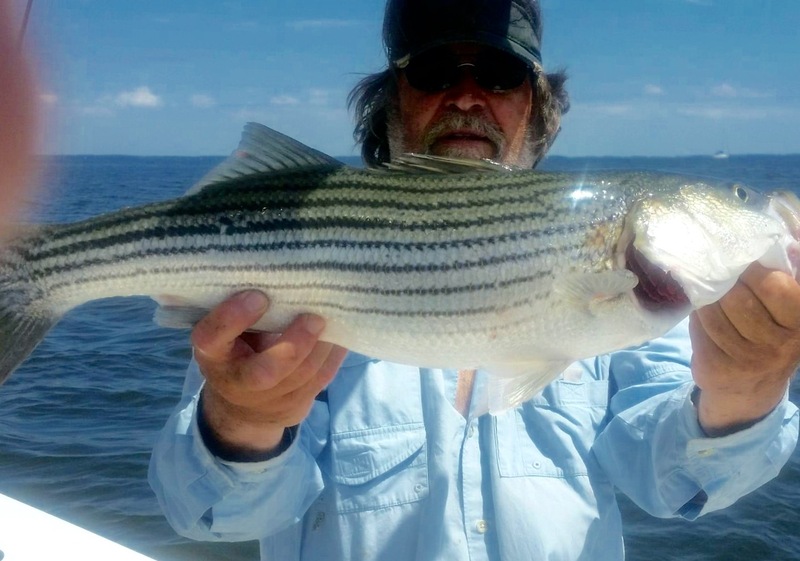 Swimbaits, spoons and topwater plugs are all catching fish. Fly fishing with clousers, poppers and gurglers are working great. 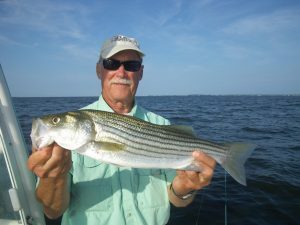 This a great time for novice fly fishermen. Stripers and bluefish breaking on the surface has been spectacular. 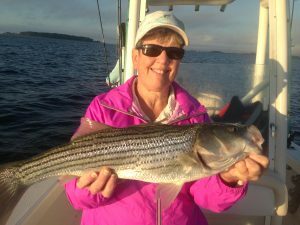 Poppers and gurglers on the fly rod bring big strikes. Spoons and poppers on spin tackle are also wearing arms out. Saw the first Spanish mackerel of the year. 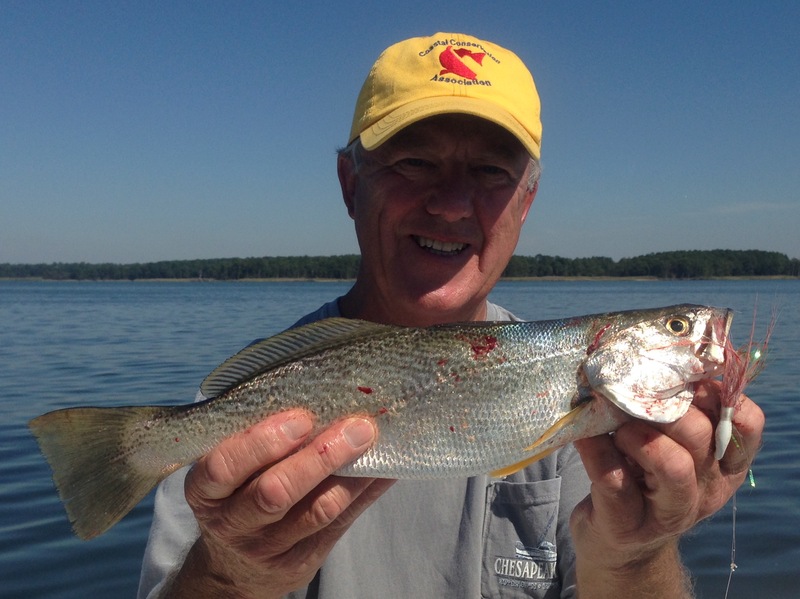 Summertime and the living is easy, fish are jumping and the cotton is high. 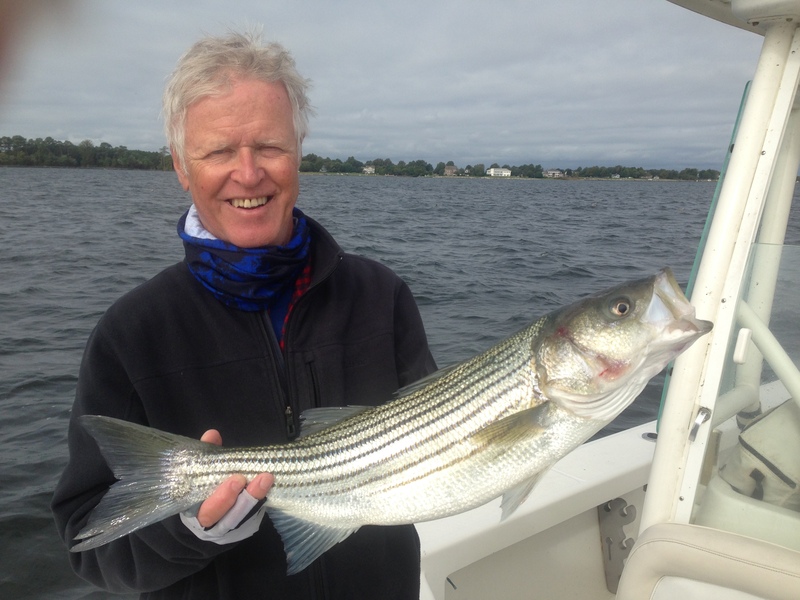 Stripers and bluefish are breaking on the surface. They are hitting anything you throw at them. 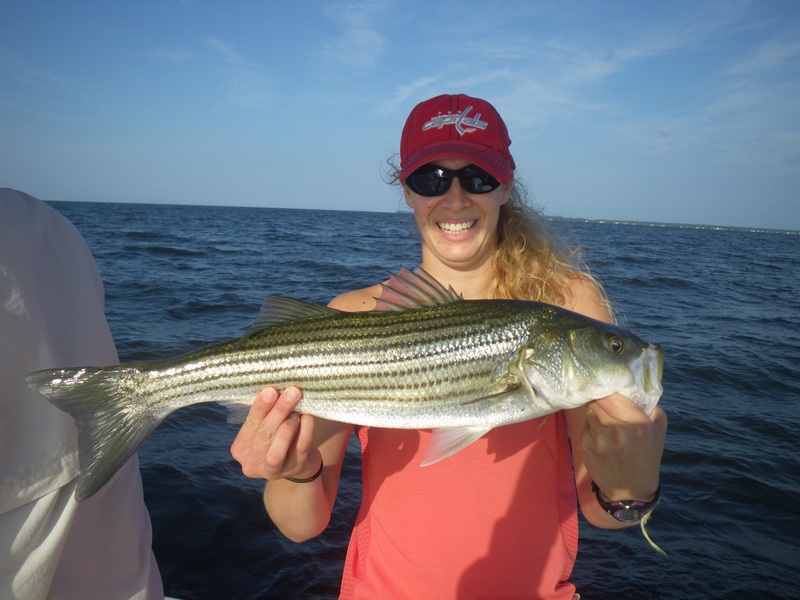 This is a great time for novice flyfishermen. 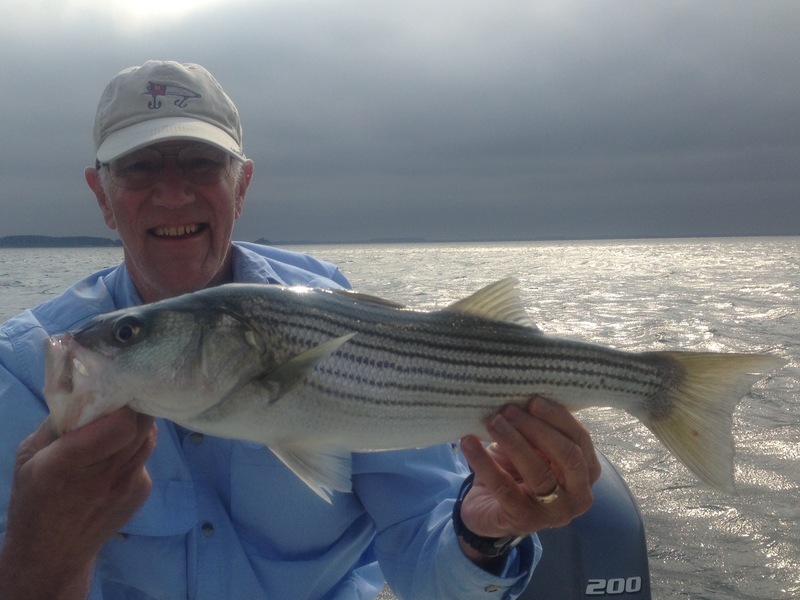 Still have been catching good numbers of stripers. The best bite has been early morning. 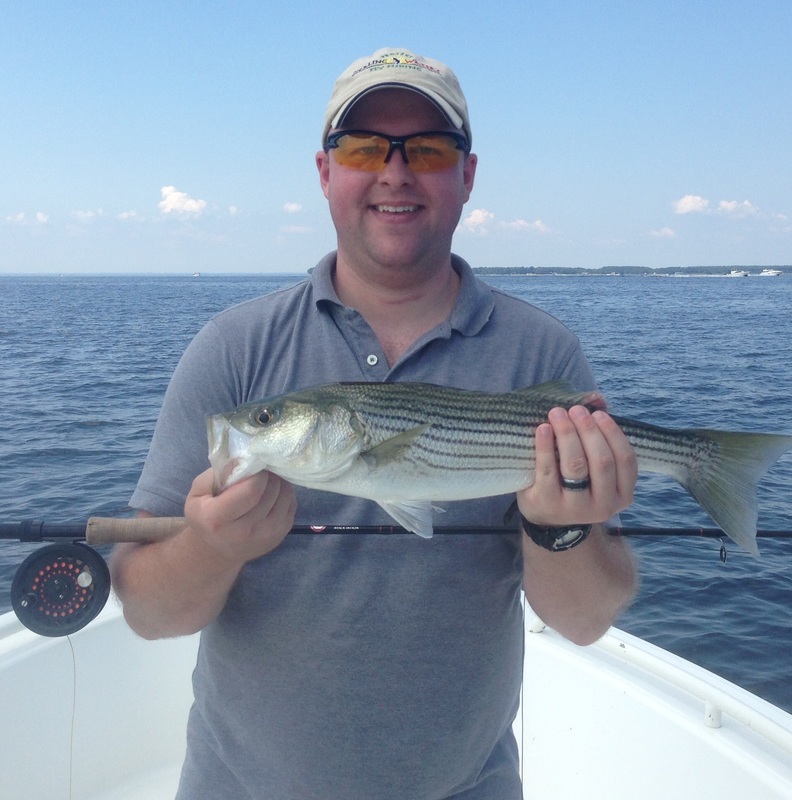 Jigs on spin tackle and flies on sinking lines are working. The shallow water bite has been on and off. Fishing in the Spring areas have slowed. 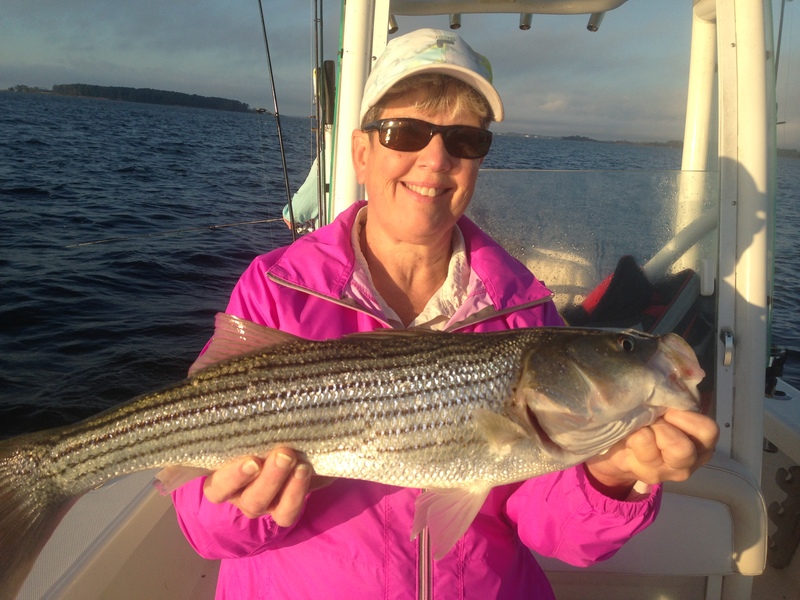 Fishing is still good but I’m covering more area now and still catching fish up to 26 inches on the fly. 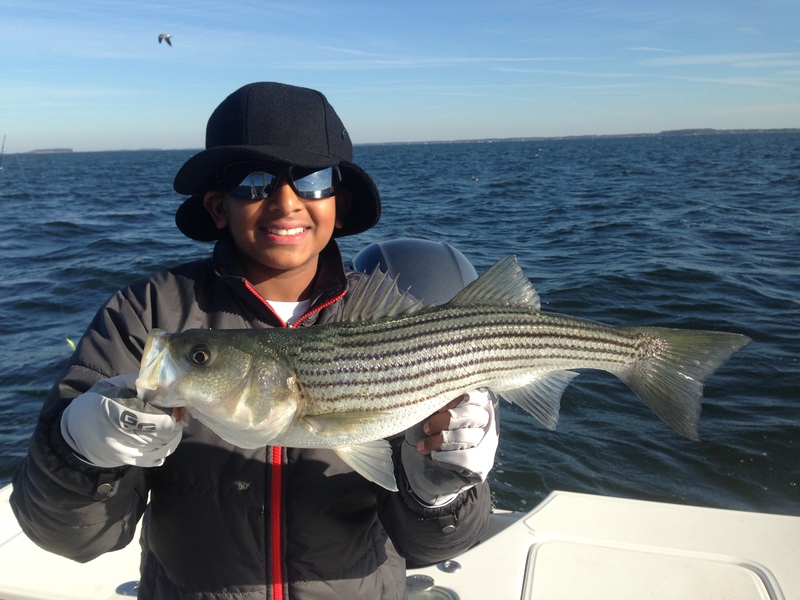 Fishing has been spectacular! 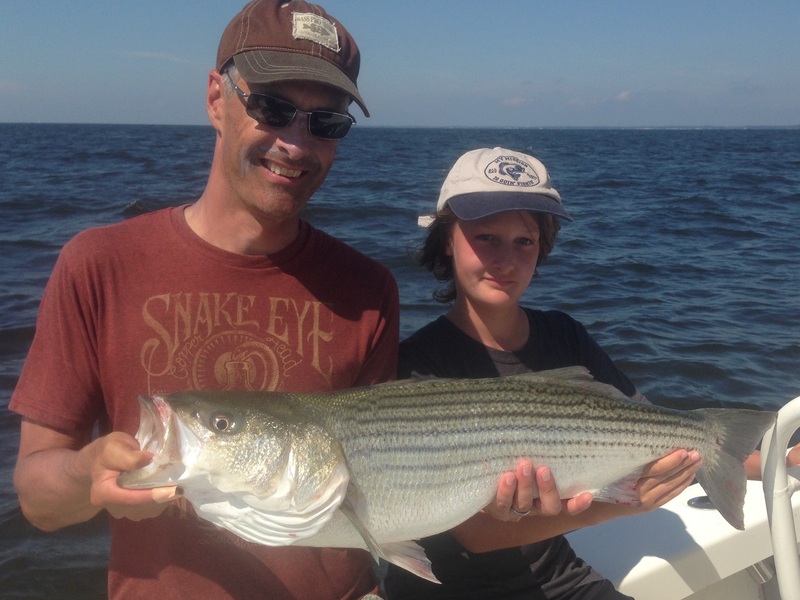 Striped bass over 30 inches are still being caught. At times they can be seen busting bait on the surface. When this is happening poppers are bringing vicious strikes. 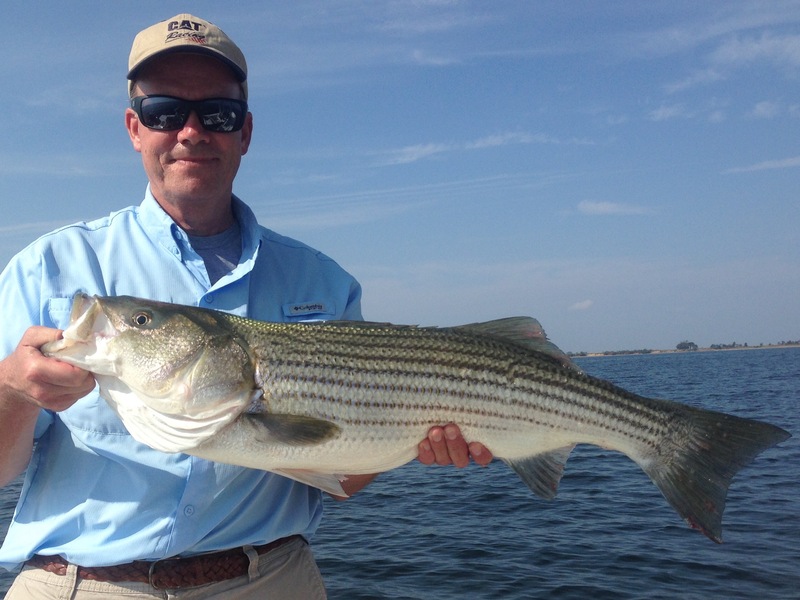 Big flies are also catching lots of good fish.